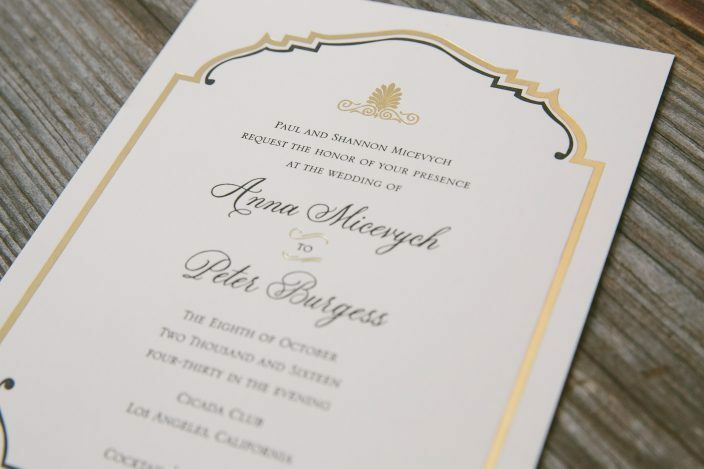 gold foil invitations - Smock. 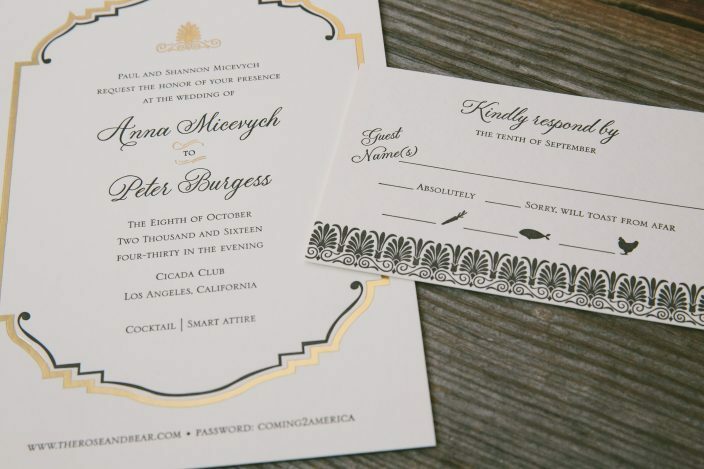 Anna and Peter customized our Emory design for their LA wedding at the Cicada Club – an art deco venue with vintage 1920’s flair. 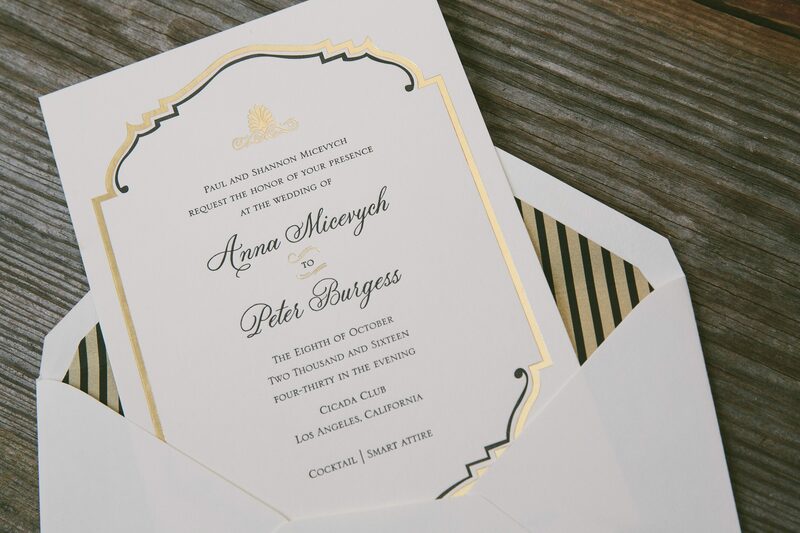 They chose a classic color palette of black letterpress with gold matte foil stamped accents for their invitations and incorporated an art deco patterned border on their reply cards to keep with the theme. 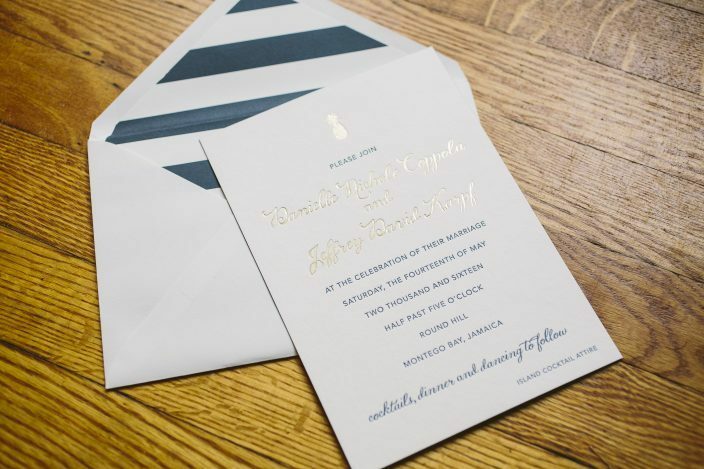 They complemented the set with a striped patterned envelope liner, printed in black ink on metallic gold leaf paper for a subtle yet glamorous finishing touch. 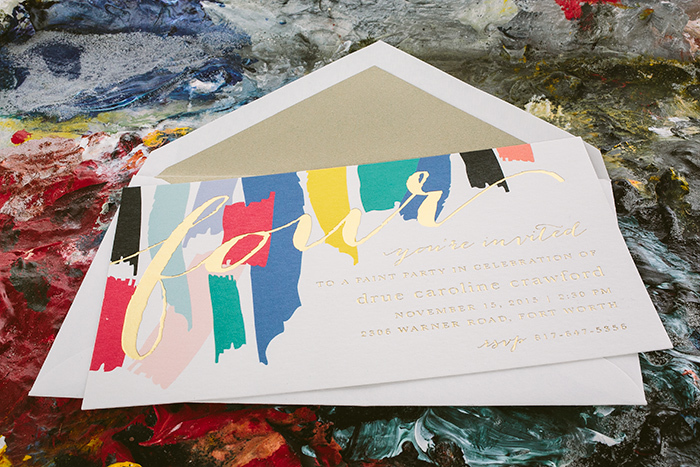 Remember these adorable paint party invitations that we created for Drue’s 4th birthday? 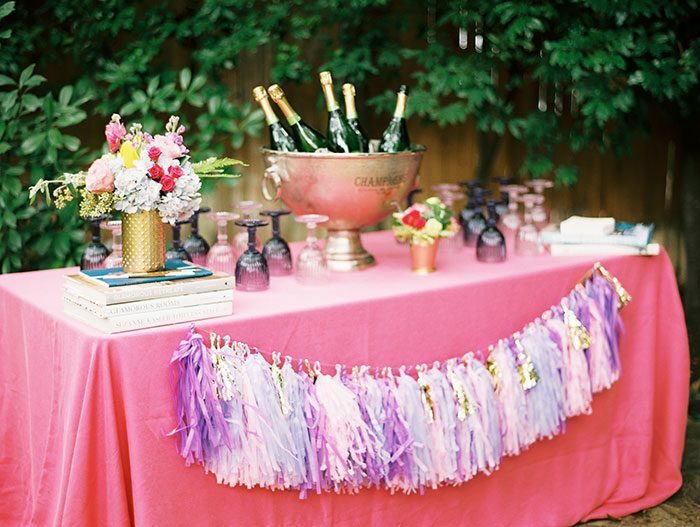 Well today we’ve got photos from the actual soirée! 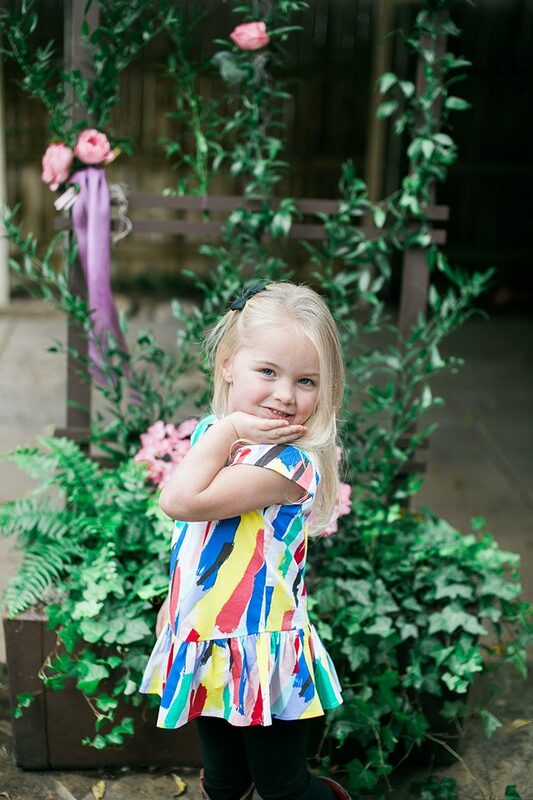 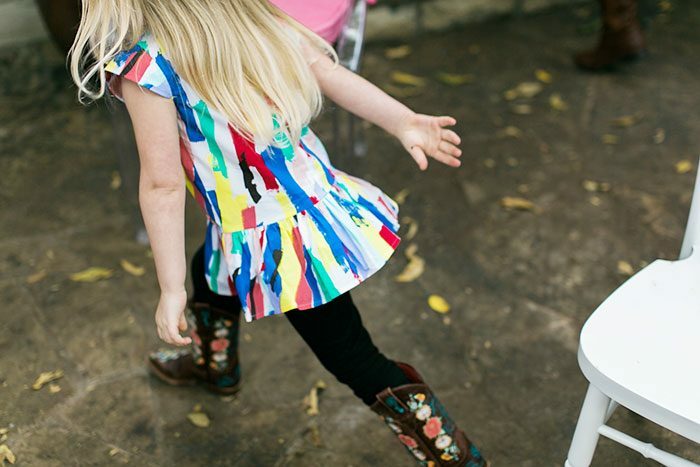 When she initially came across the shirt that would eventually inspire the entire look of the celebration, Drue’s mother, Shelby (owner of Press Paperie in Fort Worth, Texas) thought it would be the most darling shirt for an art party – and we couldn’t agree more! 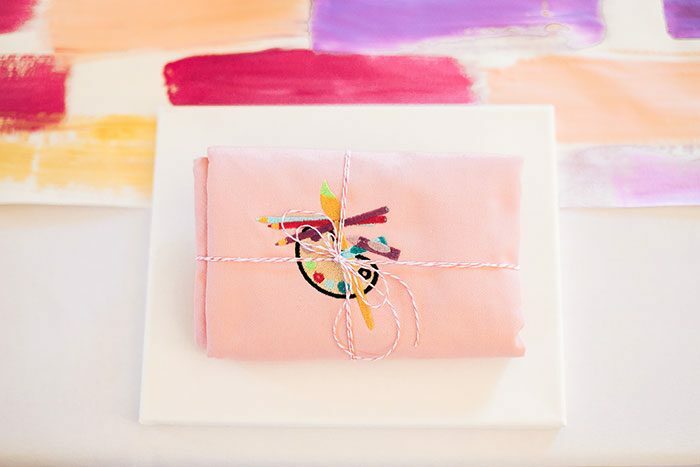 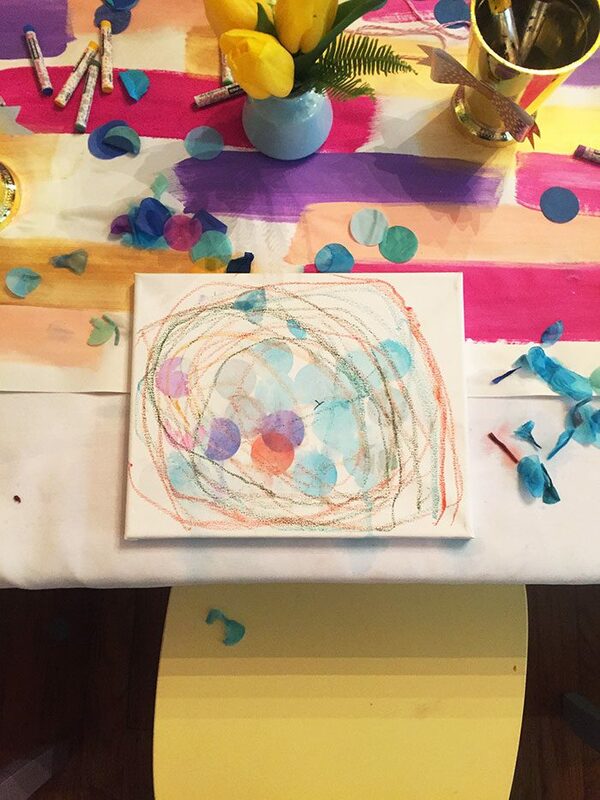 Shelby put on the cutest celebration for Drue and friends, complete with festive painterly decorations, embroidered art smocks, and a canvas for each guest to create a masterpiece! 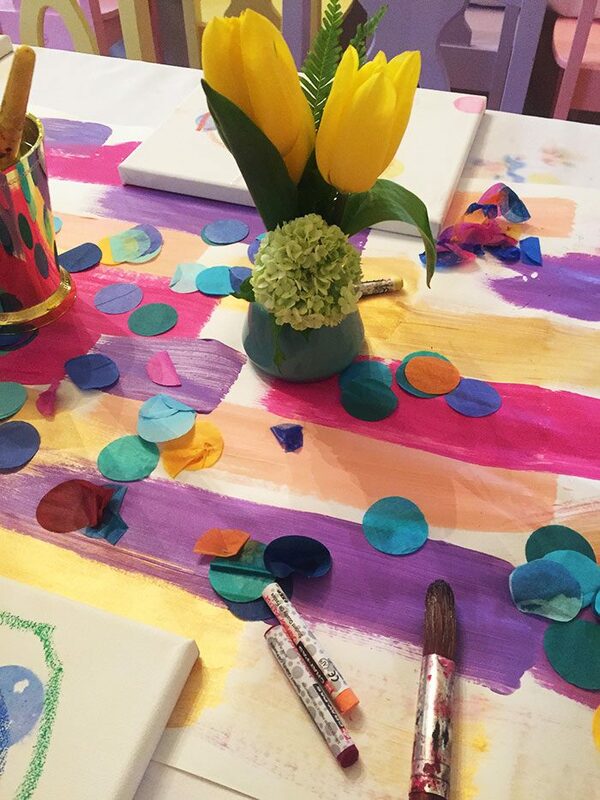 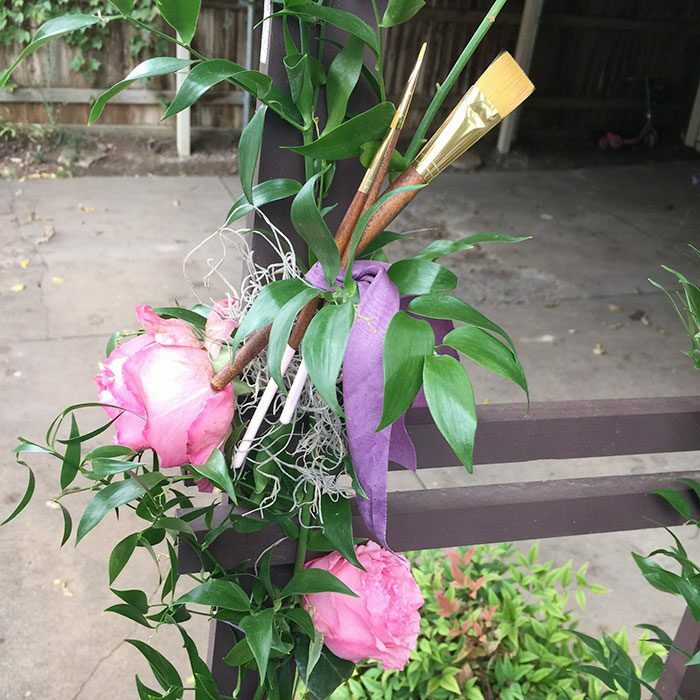 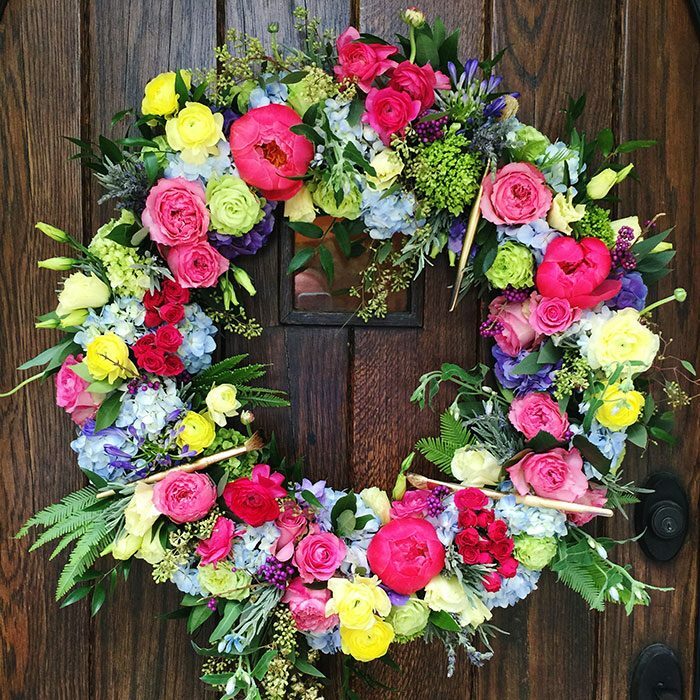 We love how she used the theme to inspire the decor – especially the hand-painted table runners and the paintbrushes nestled into the floral accents. 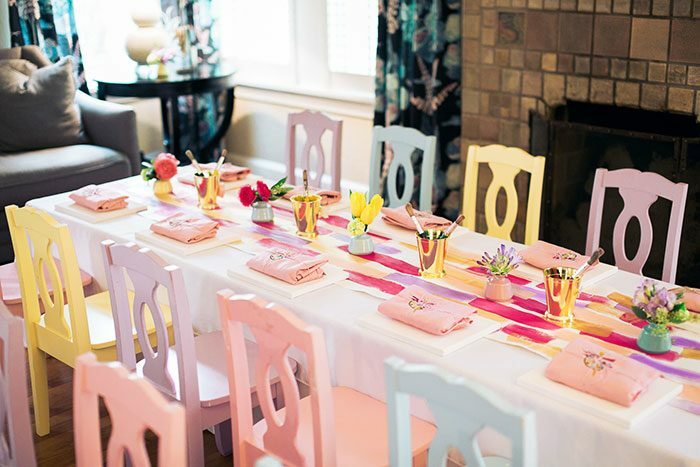 What a fun theme for a birthday party! 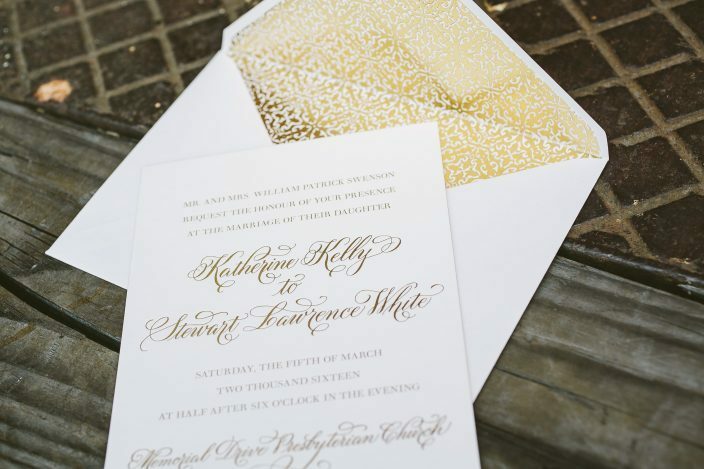 We worked with the team at Houston Invitation Service to create Katherine and Stewart’s elegant gold calligraphy wedding invitations for their March celebration. 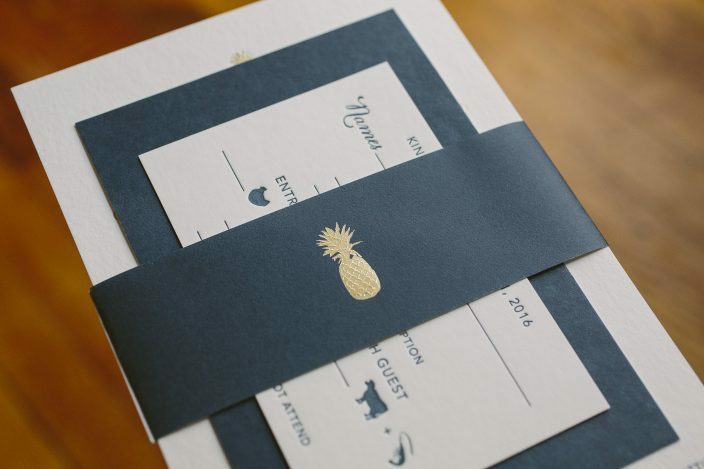 The entire suite — invitations, die-cut reception cards, and reply cards — was printed in gold matte foil, along with the patterned backing on the reception cards and inner envelope liners. 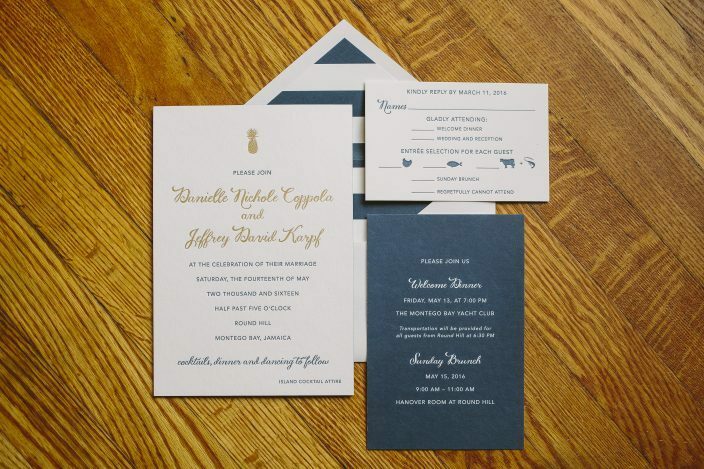 All of the design elements combined for a perfectly polished look for this black tie wedding at The Hobby Center in Houston! 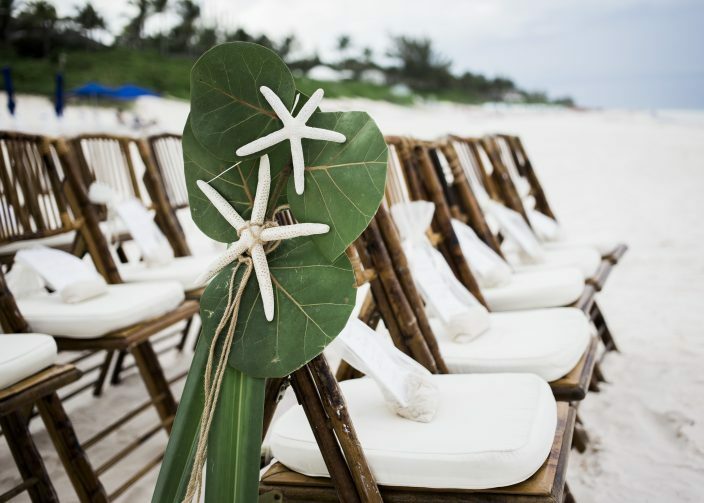 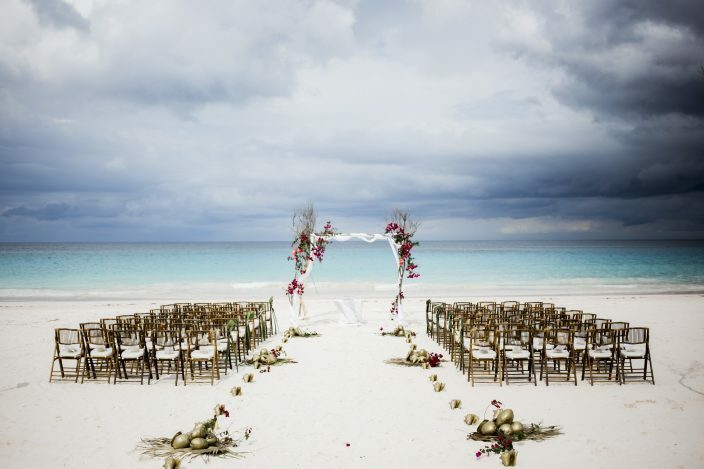 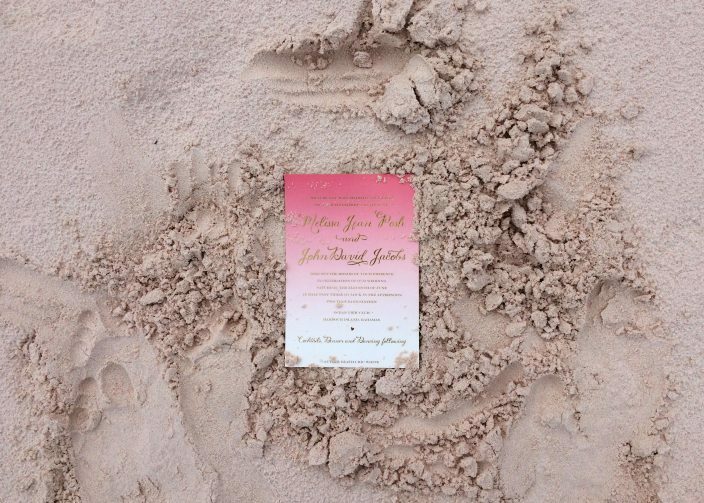 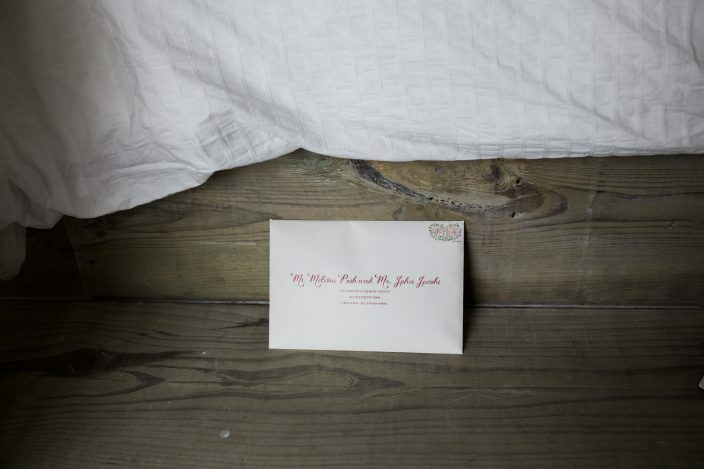 Today we’re thrilled to share the photos of Lauren & Jonathan’s custom Palmes wedding invitations! 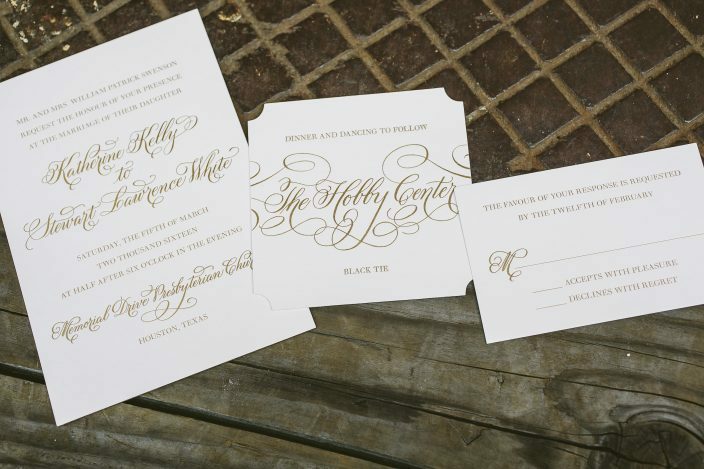 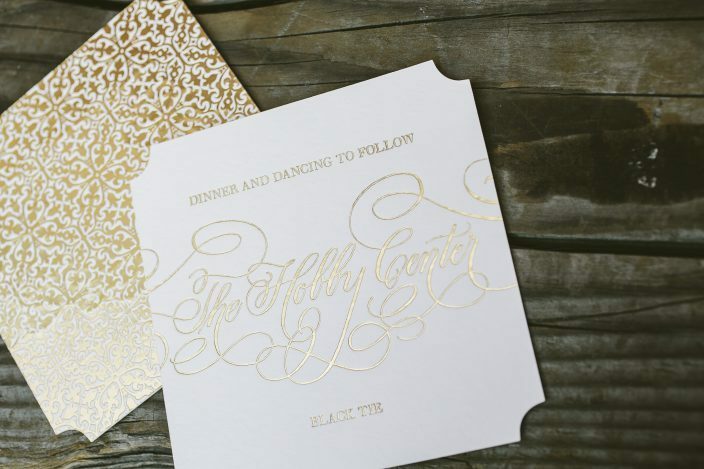 Lauren is a style editor for BizBash and worked with AaB Creates for her custom wedding invitations, which featured gold shine foil stamping and letterpress printing in our mulberry ink. 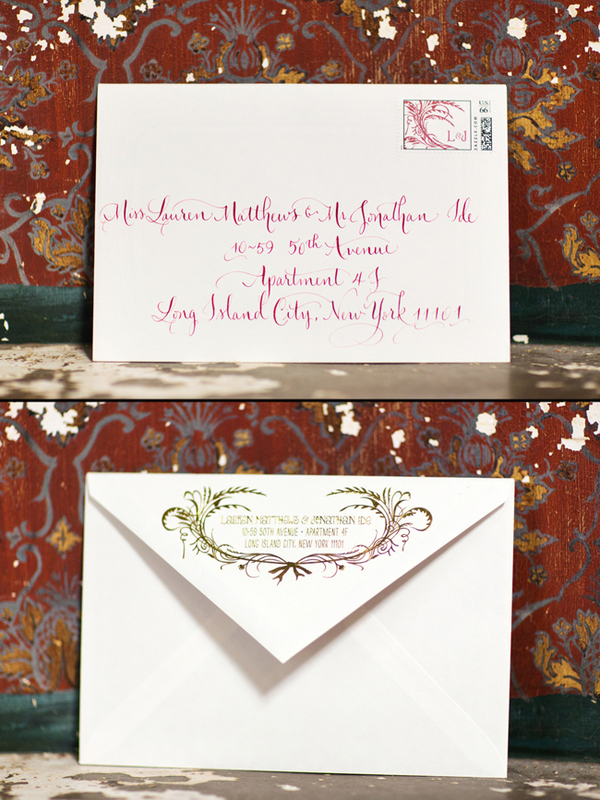 Lauren worked with Little Flower Calligraphy & Gifts for the beautiful hand calligraphy on her envelopes, and she even ordered custom postage to match the invitation design! 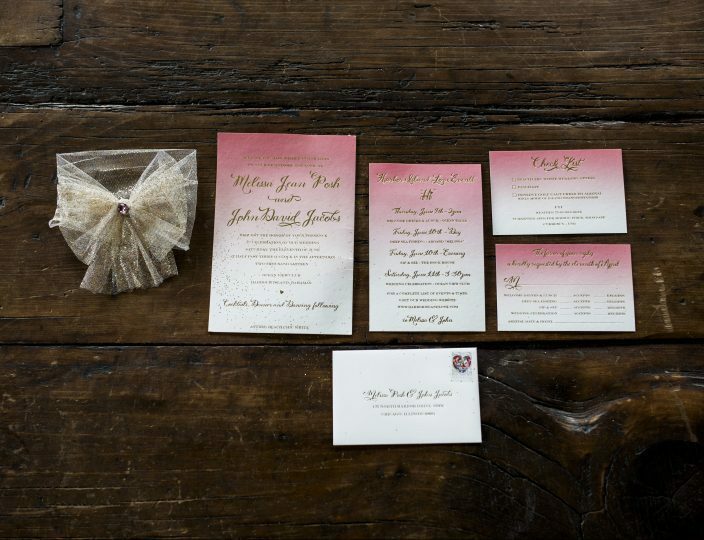 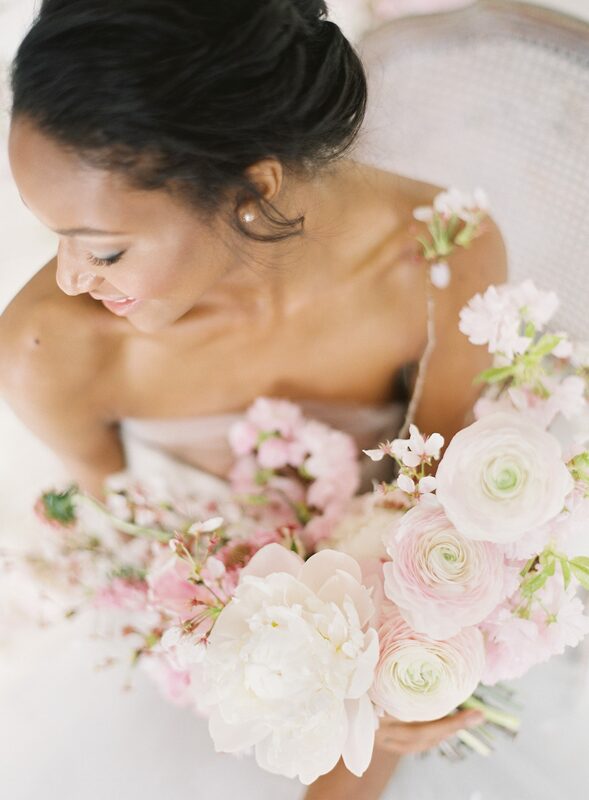 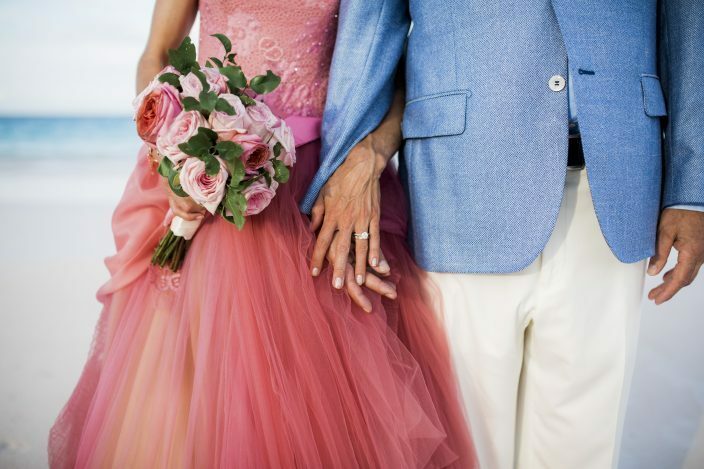 Many thanks to Lauren for sharing these photos that her photographer, Jonathan Young, captured on her big day!